Looking for a Brighter Smile? 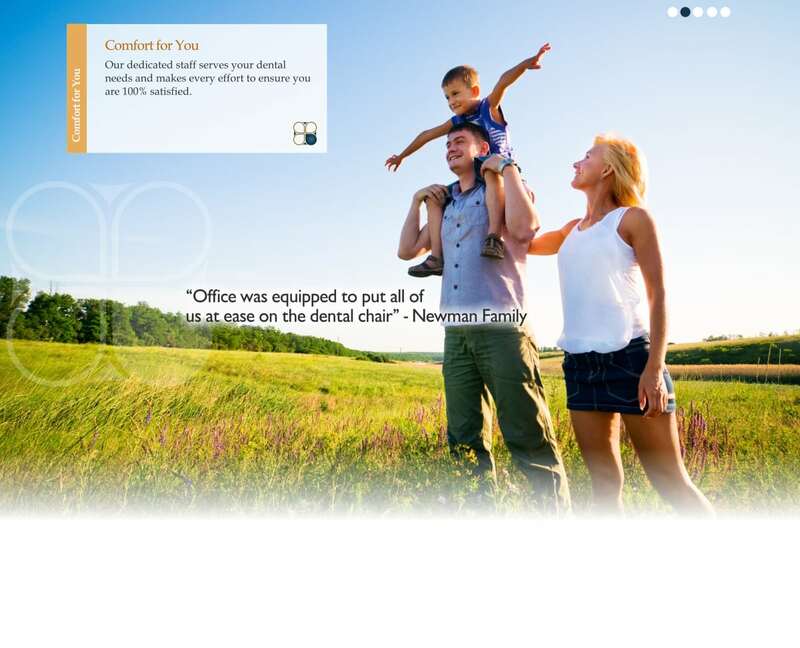 Your Grand Prairie Dentist Has the Answer. The color of your teeth may be affecting you more than you think. If you make a conscious effort to hide your teeth because they are yellow or stained, you are not receiving the benefits that come from cracking a genuine smile. Research indicates that people who smile more often are able to improve their own attitudes as well as the moods of the people they interact with. Thus if you are hiding your smile, your own outlook may be suffering as well. Thankfully, professional teeth whitening can lift stains and brighten teeth several shades, leaving you with a smile you’ll be excited to show off. 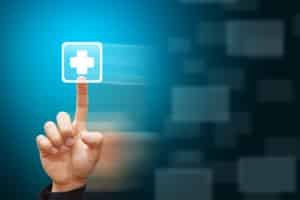 Below, your Grand Prairie dentist, Dr. Quinn Smith, discusses the benefits of Zoom! Whitening. Zoom! Whitening really lives up to its name. The procedure takes about 45 minutes to complete and shows immediate results. These results average a lightening of about 8 shades for most patients. In addition, the results are also long-lasting, meaning that you can enjoy your new smile for a long time. If you choose to receive Zoom! Whitening from your Grand Prairie dentist, Dr. Smith, your procedure will be conducted in three to four 15-minute cycles. To begin the procedure, Dr. Smith will first cover your lips and gums to protect them during the treatment. Next, he will apply a whitening solution to your teeth, which remain uncovered during the procedure. He will then activate the solution with a special light for about 15 minutes before starting a new whitening cycle. Following the completion of the procedure, your smile will be visibly whiter, and you will be able to show it off on your way out the door. Are your yellow teeth making you frown? Zoom! Whitening can brighten your smile and your outlook. Contact our 75052 dental office to schedule an appointment or a consultation with your Grand Prairie cosmetic dentist, Dr. Smith, today by calling 972-262-5111. We welcome patients from Grand Prairie, Arlington, South Dallas, Cedar Hill, Duncanville, and surrounding communities. A weakened tooth is susceptible to damage in the forms of cracking, chipping, and breaking. If damage is more severe, as in the case of a broken tooth, a dental crown can reinforce the tooth, restore its function, and improve its aesthetic appeal. But did you know that there are several types of dental crowns? Below, your Grand Prairie dentist, Dr. Quinn Smith, discusses each type. Metal crowns are known for their strength, but not for their looks. They are typically placed in the back of the mouth, where teeth must endure the strongest forces. PFM crowns offer a cosmetic improvement to metal crowns. They retain most of the strength of an all-metal crown, but significantly improve aesthetic appeal with their outer coating of porcelain. These crowns are customized for each patient, allowing for a nice cosmetic result. They are, however, typically used in the back of the mouth because of the superior cosmetic results offered by all-porcelain crowns. All-porcelain crowns are not as strong as metal or PFM crowns. Accordingly, they are most often used in the front of the mouth, where teeth experience less strain. However, to make up for their inferior strength, all-porcelain crowns offer improved cosmetic results. 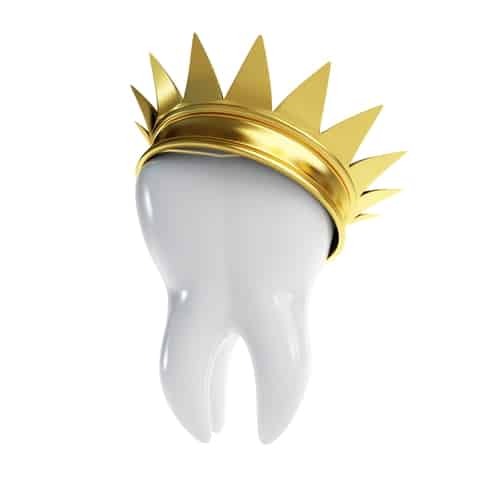 These crowns are customized for each patient to mimic the surrounding teeth, and they reflect light in the same way that natural teeth do, giving them a lifelike appearance, even in direct light. Zirconia crowns resemble natural teeth and offer impressive strength. Your Grand Prairiedentist, Dr. Smith, often uses these dental crowns for patients who grind their teeth during the night. Do you grind your teeth during the night? Have you broken a tooth? Dental crowns can repair your tooth and restore your smile. Contact our 75052 dental office to schedule an appointment or a consultation with your Grand Prairie dentist, Dr. Smith, today by calling 972-262-5111. We welcome patients from Grand Prairie, Arlington, South Dallas, Cedar Hill, Duncanville, and surrounding communities. Did you know that many people grind their teeth without realizing it? The truth is that a large portion of bruxism (teeth grinding) occurs during sleep. Oftentimes this nighttime habit is discovered by a dental professional, who notices signs of wear on a patient’s teeth. The patient is then prescribed an oral appliance, called a sleep guard, for nighttime wear. The sleep guard protects the patient’s teeth from further damage caused by bruxism. However, if the patient does not receive a sleep guard, or if he or she neglects to wear it, teeth may chip and become damaged. Thankfully, your Grand Prairie dentist, Dr. Quinn Smith, can repair chipped teeth. Below, he discusses a couple of options for restoring a damaged smile. Dental bonding is a cosmetic procedure that applies a composite resin to the damaged tooth. This resin is the same material used in white dental fillings. It is durable when hardened and can be customized in color so that it matches the shade of the tooth it repairs. When performing dental bonding, your Grand Prairie cosmetic dentist, Dr. Smith, first applies the resin to the damaged tooth. He then sculpts the resin into the desired shape and hardens it with a curing light. Once hardened, the resin becomes very sturdy, allowing the restoration to last for several years. Following the hardening of the resin, Dr. Smith puts the finishing touches on the tooth and finishes by polishing it. Dental veneers adhere to the front surface of teeth, where they can mask a variety of cosmetic problems. Thus if teeth are chipped, veneers can improve their appearance dramatically. The application of dental veneers takes about three dental visits. Veneers typically last longer than dental bonding. However, they tend to be more expensive. Do you have a chipped tooth that needs to be repaired? Contactour 75052 dental office to schedule an appointment or a consultation with your Grand Prairie cosmetic dentist, Dr. Smith, today by calling 972-262-5111. We welcome patients from Grand Prairie, Arlington, South Dallas, Cedar Hill, Duncanville, and surrounding communities. A dental filling becomes necessary when tooth decay results in the development of a cavity in a tooth. Cavities require treatment before the decay worsens and puts the health of the entire tooth at risk. Without intervention, infection can soon follow a cavity, necessitating root canal treatment. Soon after infection, a tooth may die and fall out. Much of the information about tooth decay and dental fillings is common knowledge. But did you know that fillings no longer come in just a silver color? Take this quiz from your Grand Prairie dentist below and see what you find out about white fillings. 1. 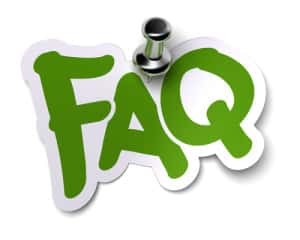 True or False: The material used for white fillings is the same material that is used for dental bonding. 2. 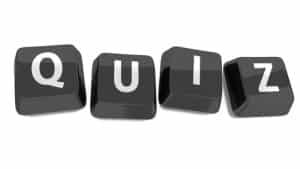 True or False: The material used for white fillings is not very sturdy. 3. True or False: White fillings are a good option for children and pregnant women. 1. True. The material used for white fillings is a composite resin. This material can be altered so that it matches the shade of the tooth it will adhere to. The same composite resin is also used in dental bonding to repair chipped teeth, close gaps, or to cover up intrinsic stains that cannot be improved by traditional whitening methods. 2. False. The composite resin is very sturdy after it is hardened with a curing light. Used as the material of choice for dental bonding, the composite resin is quite durable and is an excellent choice for a filling material. 3. True. Anyone who is sensitive to mercury may be better off choosing a white filling. However, white fillings can benefit everyone. They offer better cosmetic results than amalgam fillings, and their sturdiness makes them an excellent asset in guarding against further tooth decay. Do you have a cavity that requires a filling? White fillings can protect your teeth and give you the cosmetic results you are looking for. Contact our 75052 dental office to schedule an appointment or a consultation with your Grand Prairie cosmetic dentist, Dr. Smith, today by calling 972-262-5111. We welcome patients from Grand Prairie, Arlington, South Dallas, Cedar Hill, Duncanville, and surrounding communities. Tooth loss can be a scary thing. It can be hard to believe that such a small loss can have such a large impact upon your day-to-day life. Even harder to accept is the fact that the missing tooth or teeth are gone forever. Fortunately, dental implants can replace missing teeth with functional and lifelike prosthetics. To help you discover more about these dental miracles, your Grand Prairie dentist, Dr. Quinn Smith, is answering your most frequently asked questions about dental implants. The dental implant has three parts: the crown, the post, and the abutment. The crown is the prosthetic that is visible above the gum line. It is custom made to mimic the appearance of nearby teeth for an outstanding cosmetic result. The post is a titanium rod that is inserted into the jaw. Once in the jaw, it fuses with the bone and acts as an anchor for the crown. The crown attaches to the post by means of the third part of the dental implant, the abutment. I’ve heard dental implants can prevent tooth loss. How? Dental implants restore nutrition to the area vacated by the lost tooth. When a tooth’s root no longer resides in the jaw, the body stops sending nutrients to it, recognizing that it is gone. This process sometimes causes further tooth loss because nearby teeth can suffer from malnutrition when the nutrient flow stops. However, when a dental implant is placed in the jaw, the body recognizes the implant’s post as a tooth root and begins sending nutrients again. Some people may not be eligible to receive a dental implant if they do not have enough quality bone available to support the dental implant. In cases like these, bone grafting may supply the necessary bone to allow the placement of the dental implant. Has one of your teeth fallen out? Are you looking for a quality restoration? Schedule an appointment or a consultation with your Grand Prairie dentist, Dr. Smith, today to discuss how dental implants can restore your smile. Contact our 75052 dental office by calling 972-262-5111. We welcome patients from Grand Prairie, Arlington, South Dallas, Cedar Hill, Duncanville, and surrounding communities. 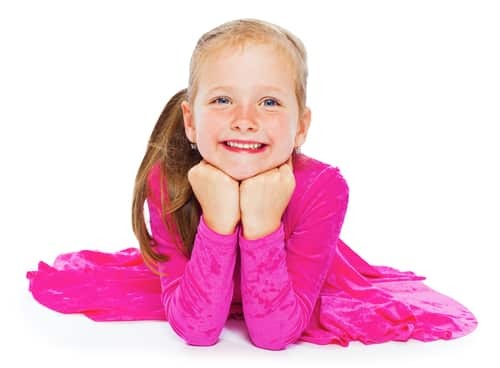 Grand Prairie Dentist: Do Kids Really Need Dental Fillings? One of the first things we learn about teeth is that people have two sets. The first set, the baby teeth, fall out during childhood to be replaced by the adult teeth. Knowing that a second set of teeth is waiting to take over, you may begin to wonder whether dental care like a filling is even necessary for a baby tooth. After all, if it falls out, the adult tooth can eventually take over. But neglecting a filling in a baby tooth can have serious consequences. Here to discuss those consequences is your Grand Prairie dentist, Dr. Quinn Smith. Tooth decay begins when bacteria consume any sugars and carbohydrates that linger in the mouth and produce an acid byproduct that can strip the enamel from teeth. As this process continues and teeth lose their enamel, they become weaker and weaker, and sometimes a tooth can develop a cavity. It is at this point that dental care should step in and fill the cavity because without treatment the bacteria could reach and infect the tooth’s innermost layer called the pulp. A tooth with infected pulp is seriously unhealthy. Without treatment it will most likely die and fall out, and even for baby teeth, a prematurely lost tooth is not a good thing. Baby teeth act as placeholders for the developing adult teeth, and if one falls out too soon, the nearby teeth may grow into the vacated area, resulting in future orthodontic problems. However, the consequences of an untreated cavity may not end when the tooth falls out. The infection may not remain contained within the damaged tooth. It could spread to other teeth or even into the body, resulting in illness. Thus if you notice any symptoms of tooth decay in your child, be sure to visit your Grand Prairie children’sdentist, Dr. Smith. Regular dental visits can help maintain your child’s oral health and prevent cavities. If more than six months have passed since your child’s last dental visit, schedule an appointment with your Grand Prairie children’s dentist, Dr. Smith, today. Contact our 75052 dental office by calling 972-262-5111. We welcome patients from Grand Prairie, Arlington, South Dallas, Cedar Hill, Duncanville, and surrounding communities. Good homecare provides a solid foundation for a healthy mouth. If you are able to keep bacteria at bay, you will not be bothered by tooth decay or gum disease. Unfortunately, keeping bacteria from attacking your teeth and gums is easier said than done, which is why your Grand Prairie dentist, Dr. Quinn Smith is here with four homecare tips that you and your family members can put into practice. 1. Brush all surfaces of your teeth. When brushing, it is a good idea to divide the work into three parts, one for each surface of your teeth. By dividing the work, you will be sure that you brush the front, back, and top surfaces of each tooth. 2. Use the proper amount of dental floss. Using 18 inches of dental floss may seem like too much at first, but it is very important that you continually use clean sections of the floss as you clean between different teeth. If you use the same section on all of your teeth, you will not be cleaning at all. Instead, you will be moving bacteria around your mouth. 3. Don’t brush too hard. It may be tempting to brush your teeth forcefully to remove plaque from them. However, your GrandPrairie family dentist, Dr. Smith, urges you to resist this impulse. Brushing too hard can strip teeth of their enamel and lower their defenses against bacteria, increasing your risk of tooth decay. 4. 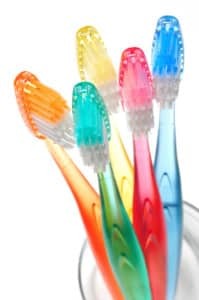 Angle the bristles of your toothbrush toward the gum line. By angling your bristles toward the gum line, you will clean the area near your gums. Bacteria in these areas are often responsible for the development of gum disease, so keeping them clean is a good idea. In addition to proper homecare, attending regular dental visits can have a profound impact upon the state of your oral health. If more than six months have passed since your last visit, contact your Grand Prairie family dentist, Dr. Smith, to schedule an appointment by calling 972-262-5111. Our 75052 dental office welcomes patients from Grand Prairie, Arlington, South Dallas, Cedar Hill, Duncanville, and surrounding communities. What do you see when you smile in the mirror. If the answer is anything less than your ideal smile, you deserve better. Life is simply too short to spend time feeling embarrassed about your teeth. Just the simple act of trying to hide your smile can alter your mood, sapping the joy from your experiences. So isn’t it time you got the smile you’ve always wanted? Porcelain veneers offer one quick and easy way to make your dream smile a reality. To learn the full extent of their benefits, take this quiz from your GrandPrairie dentist, Dr. Quinn Smith, and check your answers below. You’ll be glad you did. 1. True or False: Porcelain veneers can improve the appearance of crooked and crowded teeth. 2. True or False: Porcelain veneers can transform the appearance of your smile in two to three dental visits. 3. True or False: All porcelain veneers are non-reversible and require tooth preparation. 1. True. Veneers are thin layers of porcelain that attach to the front surfaces of teeth. In this position, they are capable of masking a variety of cosmetic problems including crooked and crowed teeth. These are not the only problems porcelain veneers can improve, however. They can also improve the appearance of stained, pitted, and damaged teeth, and they can cover gaps. 2. True. Porcelain veneers are very fast. During the first dental visit, your Grand Prairiecosmetic dentist, Dr. Smith, will take impressions of your teeth to gather information for the creation of the veneers. He will then send this information to a lab, which will create a customized set of veneers for you. On a return visit, these veneers will be secured in place with dental cement, completing your smile transformation. 3. False. Some porcelain veneers require some enamel to be scraped off of teeth before the veneers are applied. These veneers are non-reversible, but durable and effective. However, Lumineers, another kind of porcelain veneer, are very thin, durable, and require no tooth preparation, making them reversible. Are you tired of the appearance of your teeth? Get the smile you have always wanted with porcelain veneers. Call your Grand Prairie cosmetic dentist, Dr. Smith, at 972-262-5111. Our 75052 dental office welcomes patients from Grand Prairie, Arlington, South Dallas, Cedar Hill, Duncanville, and surrounding communities. If an emergency occurs, you need the knowledge and the confidence to act quickly and efficiently. Panic and uncertainty can only slow you down and eat away precious seconds. But do you know what to do for, say, a knocked-out tooth? Even if you are certain that you do, you may gain some more confidence and self-assurance by putting your knowledge to the test and taking this dental emergency quiz from your Grand Prairie dentist, Dr. Quinn Smith. 1. True or False: You should always handle a knocked-out tooth by its root. 2. True or False: If you suffer a broken tooth, it is a good idea to rinse your mouth with warm water. 3. True or False: If a tooth is broken or cracked, cosmetic damage is your only worry. 4. 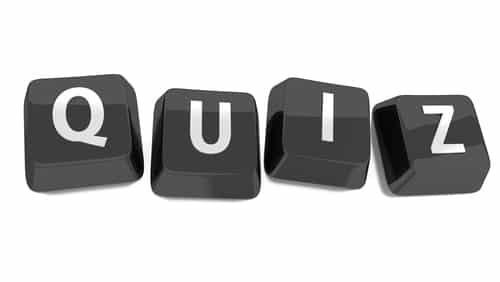 True or False: You should place a knocked-out tooth back in its socket. 1. False. Always handle a knocked-out tooth by the crown rather than the root. When a tooth is knocked out. Rinse your mouth with warm water and begin searching for the lost tooth. If you are able to find it and can bring it with you to your Grand Prairie emergency dentist, Dr. Quinn, the tooth may be salvageable. 2. True. When a tooth breaks, its pulp is no longer protected from bacteria. Thus, rinsing your mouth with warm water can remove some bacteria and lower the risk of infection. 3. False. Infection is a major concern when a tooth is broken or cracked. When bacteria can so easily reach the tooth’s pulp, infection is much more likely. If a tooth becomes infected, that infection can kill it, causing tooth loss. The infection can also spread throughout the mouth and body. 4. True. Placing the tooth back in its socket will help keep the tooth’s root moist. Just remember to rinse the tooth off before replacing it in the socket. Then hurry to your Grand Prairie emergency dentist. Prompt care is vital in an emergency situation. If you or a loved one suffers a dental emergency, contact your Grand Prairie emergency dentist, Dr. Smith, by calling 972-262-5111. Our 75052 dental office welcomes patients from Grand Prairie, Arlington, South Dallas, Cedar Hill, Duncanville, and surrounding communities. Have you ever wondered why many people have their wisdom teeth removed? It seems strange that a large group of people all require the removal of a natural tooth. Yet extracting wisdom teeth can prevent many oral health problems including orthodontic problems and the possibility of infections. Here to explain why wisdom teeth extraction is often necessary is your Grand Prairie dentist, Dr. Quinn Smith. Wisdom teeth do not typically emerge until the late teenage years or early adulthood. When they do emerge, they are not always aligned properly. They may be turned to the side or at an angle, meaning that they can crowd nearby teeth, causing orthodontic problems. In these cases, extraction is the best option. Another situation that requires extraction occurs when wisdom teeth are impacted, which means that they remain enclosed in the soft tissue or only partially come through the gums. In cases of partial eruption, infection is a great risk because patients cannot adequately clean the tooth, yet bacteria can enter the opening and wreak havoc in the forms of tooth decay, infection, and gum disease. If your Grand Prairiedentist, Dr. Smith, decides that your wisdom teeth need to be extracted, he will employ one of two sedation methods: oral sedation or nitrous oxide. Oral sedation involves taking a pill the night before extraction and one more pill an hour before the procedure. With nitrous oxide, patients inhale the gas during the procedure. Once the sedatives begin to work, Dr. Smith will quickly and efficiently extract the teeth. Following the procedure, he will provide instructions about how to care for your mouth so that the empty socket heals properly. If you experience swelling or pain in the area of your wisdom teeth, they may require extraction in order to ensure the continuation of your oral health. Schedule an appointment or a consultation with your Grand Prairiedentist, Dr. Smith, today by calling 972-262-5111. Our 75052 dental office welcomes patients from Grand Prairie, Arlington, South Dallas, Cedar Hill, Duncanville, and surrounding communities.